Seamus McGrath grew up on a bike. After a 19-year successful mountain biking career, during which he represented Canada at two Olympic games, won two Commonwealth Games medals, made appearances on World Cup podiums and won several 7 day endurance races, he was looking for a new career. 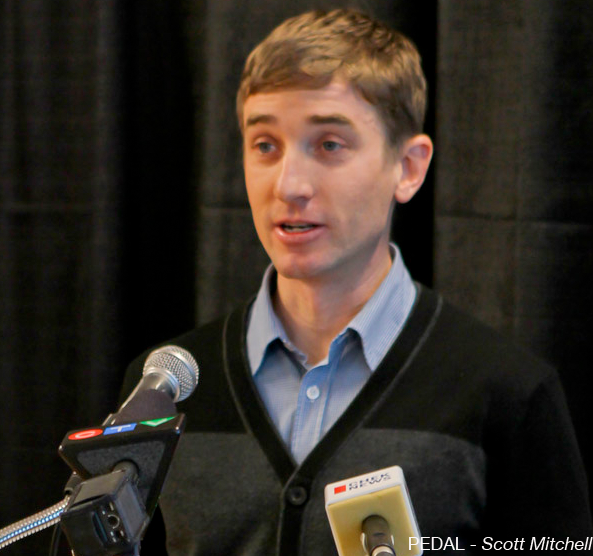 So in 2010, McGrath got together with Victoria, British Columbia native Ryder Hesjedal. In 2011, McGrath started the Ryder Hesjedal’s Tour de Victoria. “The goal of this event is to promote the sport of cycling. This sport has given me and Ryder so much, so we wanted to bring the experiences we’ve had in cycling to the average person,” said McCrath. This year GoodLife Fitness will be a presenting sponsor. “To have a company like GoodLife behind us is amazing. We know they are big supporters of Ryder and his goal of getting people involved in cycling and staying fit and in good health,” says Tour de Victoria director, McGrath. GoodLife Fitness CEO, David Patchell Evans echoes his excitement. “With almost 300 clubs from coast to coast, we are looking forward to sharing the opportunity to participate in the ride with our members and cyclists from across the country,” said the man more commonly known as Patch. The Tour de Victoria is taking place June 24, 2012. For the full interview with the TDV race director you can listen to the attached OptiMYz Radio interview.